Murray Goulburn Unit Trust (MGC) yesterday closed at $2.42, up 15% from Friday’s IPO issue price of $2.10. Receive invitations to participate in upcoming IPO opportunities, become a member here. Murray Goulburn is Australia’s largest dairy foods company and has been established for more than 60 years. 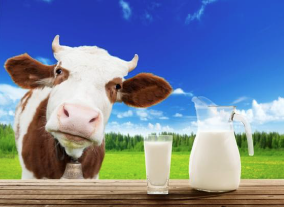 The company manufactures and markets a full range of dairy and nutritional products such as cheese, milk powder, butter and fat, drinking milk, liquid milk products and infant formula. Murray Goulburn processes over one-third of Australia’s milk supply and exports more than half of Australia’s dairy products. It owns and operates 11 dairy processing facilities across NSW, Victoria, Tasmania and China. – New material contract wins. For example the Woolworths private label fresh milk contract for the NSW market is currently up for tender. If won, this contract could provide upside to prospectus FY16 earnings guidance. It would also lift the return profile from new facilities which currently have excess capacity. – Delivering new growth projects on time and on budget and announcement of further growth opportunities and/or accretive M&A.